In the world of life, there are small challenges and there are major, critical, existential challenges. That’s the story for humans, for businesses, and for industries. 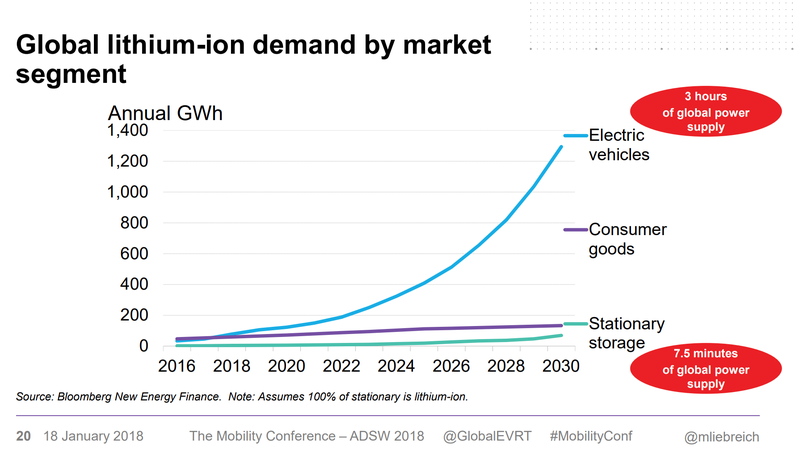 Limited cobalt supply is being pitched more and more as an existential problem for the electric vehicle revolution (and for Tesla in particular), but it’s really just another cog in the machine that needs to get moving. The hottest trending hype about what will supposedly stop an electric vehicle revolution — and take down Tesla — has morphed over the years. “It will be X.” Well, no. “It will be Y.” Nope. “It will be Z.” Try again. As these other “death sentences” have been overcome, the naysayers have had to find new concerns to cling to. Because, you know, life is no fun if you aren’t worrying or casting doubt on positive forecasts of the future. Not knowing how much cobalt supplies are a genuine point of concern and a bottleneck for much greater mass production of EV batteries, and thus EVs, I’ve spoken to EV battery experts several times in recent months to try to learn more. I didn’t want to jump to any conclusions or run with one quote just because my preference is for clean transport to take over the world quicker than not. I wanted to really understand this issue and understand if it’s a major point of risk. But after discussing with a handful of experts, the story seems to be quite different from what John Petersen claims. 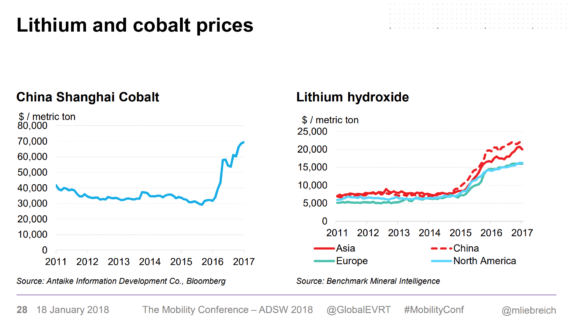 ♦ Cobalt demand will exceed supply by 42% in 2025 and 170% in 2030. 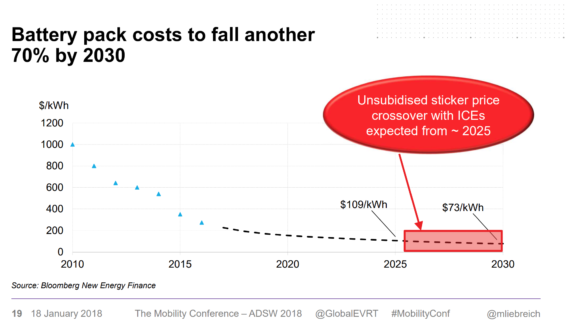 ♦ That means prices will jack up a lot, and thus, prices of EVs won’t come down as people/companies expect. 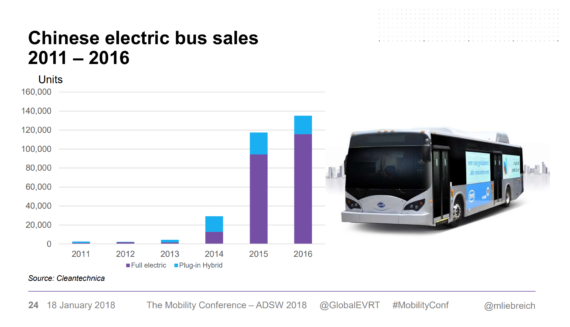 How could so many automakers make so many big EV plans with this issue glaring them in the face? I wanted to find out. The first couple of people I talked to were a couple of market experts from Bloomberg New Energy Finance (BNEF) — Logan Goldie-Scot, Head of Energy Storage Analysis, and Michael Wilshire, Head of Strategy. The summary of their response seemed to be clear: The market will respond to the increased demand and scale up. 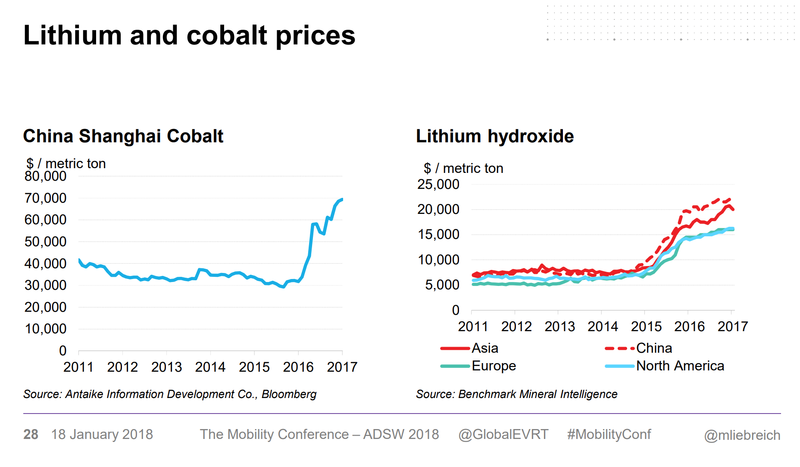 Yes, a quick rise in EV demand could result in a short-term cobalt crunch that could increase the price of cobalt — actually, that’s already happening. But high prices are a signal for more players to get in the game and for existing players to ramp up production. This is how markets grow and evolve. Anyone who has followed the solar power industry for a decade or so may quickly jump to an analogy there. With the initial jump in demand for solar power (driven especially by a big boom in Germany), there was a silicon crunch. That led to a bump up in silicon, solar cell, and solar panel prices. Looking at a chart of those solar prices at that point in time might have led some people to think the price of solar panels would be going up for a while. Ha! The market responded — a lot of silicon production capacity came online. Actually, too much came online and solar prices plunged. While many experts claimed for a while that the drop in solar costs would then level off, they actually kept going down, down, down — a story for later today. The reference to NMC 111 and NMC 811 probably confuses many of you, but this is what I mentioned briefly above. In an NMC 111 battery, there’s 1 part nickel, 1 part manganese, 1 part cobalt oxide. In an NMC 811 battery, there are 8 parts nickel, 1 part manganese, 1 part cobalt oxide. See what’s going on there? Meanwhile, in a conversation with someone from Tesla, it was noted that cobalt simply is not that significant to the composition of Tesla’s battery cells. Tesla mainly uses NCA batteries, which contain substantially less cobalt than the NMC batteries that most competitors use. Furthermore, Tesla reiterated that, in general, the trend in the material development world is towards higher-energy, lower-cobalt chemistries. In summary, the market is likely to respond appropriately to any cobalt crunches, there are battery chemistries that largely get around the problem (whether NMC 111, Tesla’s own NCA preference, or coming battery chemistries), and the imminent death of the EV revolution seems nothing more than a mirage … yet again. *A real problem, and one that companies like Tesla are trying to fix. **Note the source. Updated stats with 2017 figures are now published here.